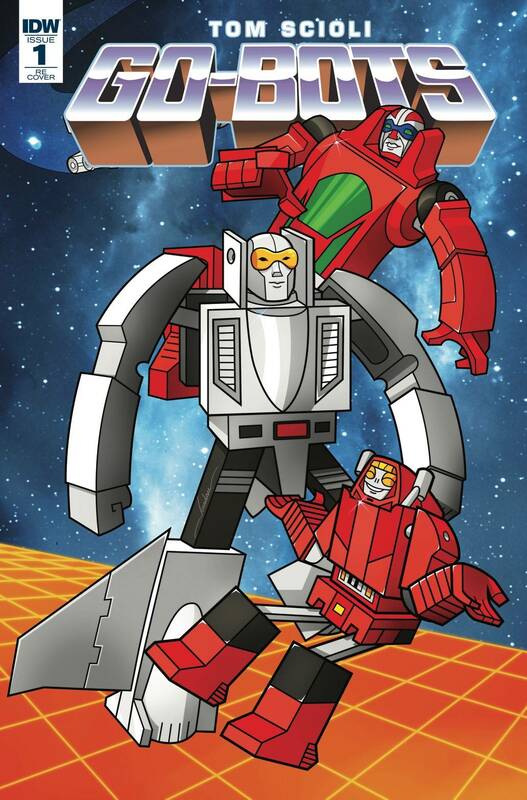 (W/A) Tom Scioli (CA) Diego Jordan Pereira Go-Bots have changed our way of life. Leader-1 is a self-aware fighter jet on a hostage rescue mission with his partner, Commander Nick Burns. Scooter is the personal transport and best friend to undergrad A.J. Foster. Turbo is Matt Hunter's transforming race car in the hottest sport in America, Go-Bot Racing. Cy-Kill is the champion of the illegal, underground Go-Bot Fighting League. A sophisticated sci-fi epic from the visionary creator that brought you Transformers vs. G.I. JOE. They say they're here to help us, but are they here to replace us? This Local Comic Shop Day edition will have NEW content that will NOT be available in the regular editions of this comic, as well as a new cover by artist Diego Jourdan Pereira..